A data breach can ruin your company’s reputation and cost you billions of dollars – just ask one of the estimated 16.7 million Americans impacted last year. According to a 2018 Identity Fraud study by Javelin Strategy & Research, more SSNs were stolen than credit card numbers in 2017. 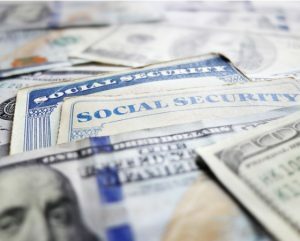 After all, you can do anything with a SSN – drain a bank account, open new credit accounts, file fake taxes to receive a direct deposit or even track health care information. It’s clear that our online identities are not as secure as we hoped. Some have proposed alternatives to SSNs for online identification – the topic I’ll be discussing at next Monday’s panel at KNOW 2018 (SSNs: Their Role Today and Their Place in the Future). But most proposals as stand-alone approaches have strong flaws and could even lead to more distressing privacy violations. If you own an iPhone, you know that fingerprinting identification and facial recognition is on the rise as a means of online security. Others have floated the idea of using blockchain as verification for a new personal identification number. And these alternatives wouldn’t assist the billions of Americans whose identities have already been stolen. So short of inventing an unhackable verification system for your company, what can you do to keep your information – and your customers’ information – safe? Rely on the experts, of course! Aristotle Integrity is a simple integration system that ensures instantaneous, reliable digital verification for citizens of 135 countries and leverages 3.4 billion records internationally. Linking this global service with other verification methodologies like the Integrity AutoDoc with FaceCheck brings identity data, documents and biometrics together to thwart the fraudster. Our recent partnership with AVSecure includes age verification solutions for challenges found in UK blockchain and age verification card companies further extends the reach of a digital identity by integrating blockchain to anonymize identity post verification. We work hard to stay ahead of the hackers, ensuring you know who you’re interacting with online. I’m looking forward to breaking down the future of verification and online identity at Monday’s (3/26) panel – I hope you can join me at the conference! If you aren’t attending, please reach out to our team with questions about how you can verify your consumer information safely.